Sixty-five years ago, on July 20, 1952, Delilah, a precious red-headed baby girl, was born to Mona Brunson and N. A. “Candyman” Sewell in Shreveport. Years later, Delilah Sewell married the love of her life, Mark Wayne Brosset Sr. of Cloutierville July 1, 1982. The Lord called Delilah’s sweet soul home Thursday, June 7, 2018. She was surrounded by her loving and devoted husband, daughters, sisters and a host of loved ones as she passed from this life into the arms of Jesus. Some of the last words Delilah heard on this earth were spoken by her husband, “I loved you then, I love you now, and I’ll love you forever.” Throughout Delilah’s life her kindness and love for others revealed a true servant’s heart. 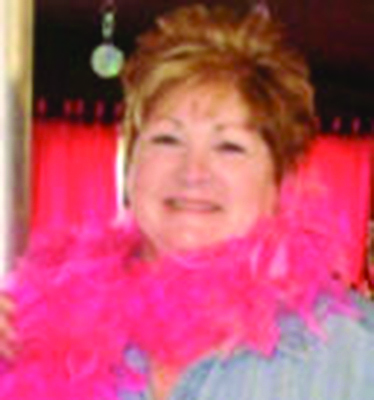 For over 30 years, she worked as a pediatric nurse taking care of hundreds of babies in the Natchitoches community. Her calm and kind nature soothed not only her tiny patients, but their anxious parents as well. She was always willing to help those in need, without expecting anything in return. Whether diapers, formula, medicine or any other necessity was needed, she would find a way to make available what a young mother might need to provide for her child. And as a volunteer for the Special Olympics, she supplied love and support for many athletes throughout the years. Those left to cherish her memory are her husband, Mark Wayne Brosset Sr.; children, Amanda Brosset, Monique Brosset and Michael Brosset and wife Dedrie; grandchildren, Nikie Brosset, Travis James and Madison Brosset-Freeman; great-grandchildren, Savannah Carter, Jadyn Brosset, Matthew Joseph Brosset and Alyssa James; sisters, Candis and husband Wayne Airhart, and Leah and husband Bill Gordy; and a host of nieces and nephews. Delilah is preceded in death by her grandparents, Kathryn and J.E. Brunson of Shreveport and Annie and James Sewell of Martin; parents, Mona and N. A. “Candyman” Sewell of Natchitoches; brother, Johnny Albert Sewell; son, Mark Wayne Brosset Jr.; and grandson, Matthew Reagan Brosset. The funeral Mass will be at 11 a.m. Wednesday, June 13, at St. Anthony Catholic Church, 911 5th St., Natchitoches, with Father John O’Brien officiating. Interment will follow at Memory Lawn Cemetery. In lieu of flowers, Delilah requested that donations be made to St. Jude Children’s Hospital and The Pug Queen Rescue, via website https://www.paypal.me/ThePugQueen. Delilah, we love you more.